The education system can be difficult for children with ASD to navigate and challenging for parents to advocate within. We have many books focused on education. I Get It! by Audra Jensen, M.Ed., BCBA. 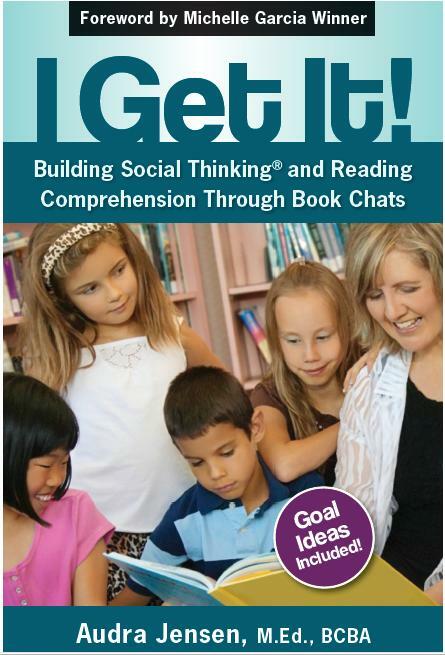 The author illuminates the synergistic relationship between social thinking and reading comprehension. Pp. 143. 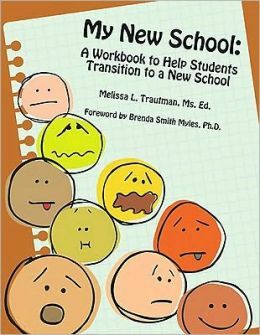 My New School: A Workbook to Help Students Transition to a New School by Melissa L. Trautman. The book takes an honest approach by first acknowledging the difficulty of moving to a new school and then giving students tools to make the transition easier. Through hands-on activities like checklists and to-do lists, Trautman has empowered students to reduce the fear they associate with transferring to a new school. 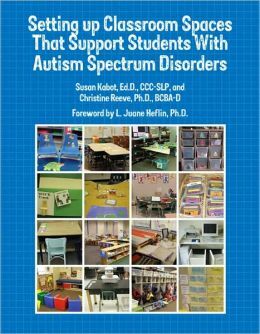 Setting up Classroom Spaces That Support Students With Autism Spectrum Disorders by Susan Kabot and Christine Reeve. This book shows through clear and brief text and lots of photos how to determine what type of furniture and materials to choose for various types of classrooms and how to arrange them in a way that creates an effective learning environment while reducing anxiety and preventing problem behaviors. 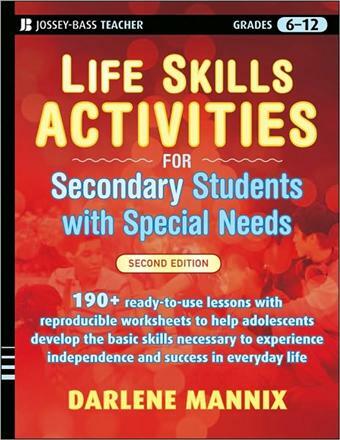 Life Skills Activities for Secondary Students with Special Needs by Darlene Mannix. Ready-to-use lessons for teaching basic life skills to adolescents with special needs. This book offers teachers and parents a unique collection of more than 200 worksheets to help adolescents with special needs build the life skills they need to achieve independence and succeed in everyday life. 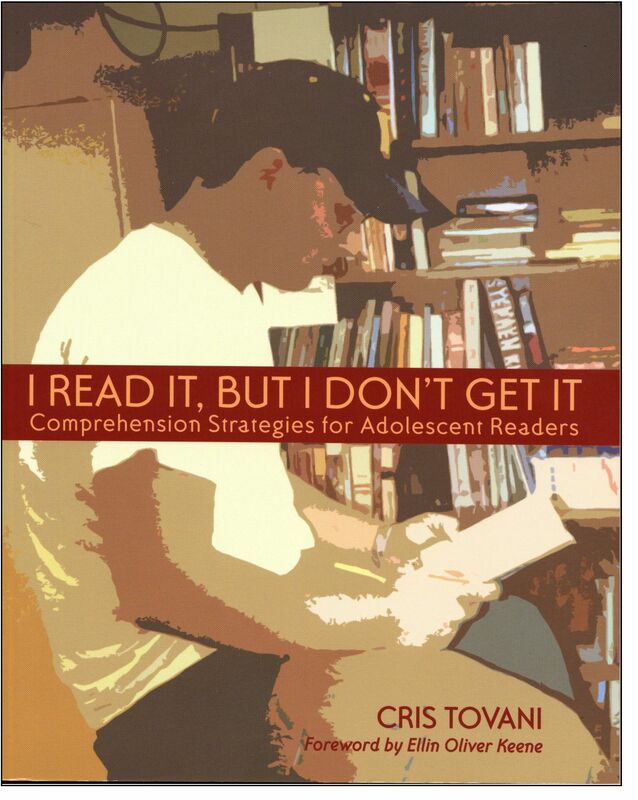 I Read It, but I Don’t Get It by Chris Tovani. This book is a practical, engaging account of how teachers can help adolescents develop new reading comprehension skills. Pp. 140. Evidence-Based Practice and Autism in the Schools by the National Autism Center. 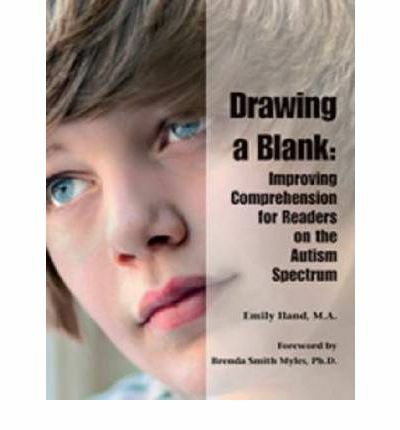 Drawing a Blank: Improving Comprehension for Readers on the Autism Spectrum by Emily Iland, MA. Using a clearly stated and well-organized approach, this practical resource provides educational professionals and parents with the tools to improve comprehension for good decoders who have reading comprehension difficulties, as well as readers who struggle with both decoding and comprehension. In keeping with current standards, the book emphasizes the importance of using evidence-based and promising practices based on thorough assessment of student’s needs. Pp. 275. 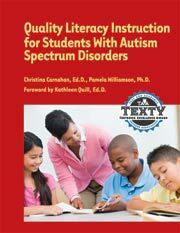 Quality Literacy Instruction for Students with Autism Spectrum Disorders Edited by Christina Carnahan, Ed.D and Pamela Williamson, Ph.D. 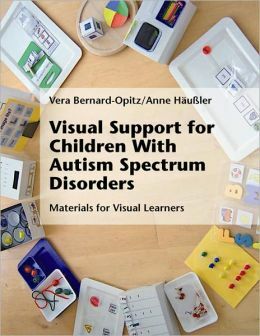 This book is designed to help emergent readers become proficient readers with a particular focus on how the unique characteristics of learners with autism spectrum disorders interact with the development of literacy. 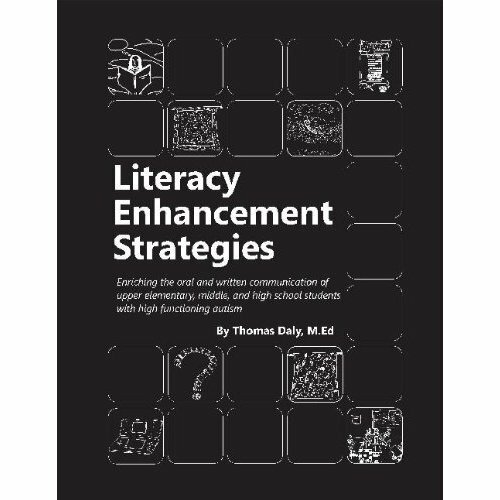 Literacy Enhancement Strategies: Enriching the Oral and Written Communication of Upper Elementary, Middle and High School Students with High Functioning Autism by Thomas Daly. This book is for upper elementary, middle school, and high school students who are at or near grade level on the Autism Spectrum. It covers topics like listening, comprehension writing, and talking. Literacy Enhancement Strategies also includes a parent letter at the beginning of each chapter and teacher directions and discussion topics. Pp. 157. If avaiilable, item can be checked out from the resource room at no cost. 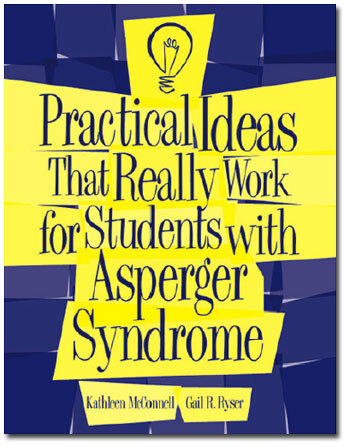 Practical Ideas that Really Work for Students with Asperger Syndrome by Kathleen McConnell. This book includes 40 classroom strategies accompanied by worksheets, lists, and visual aids. Pp. 181. 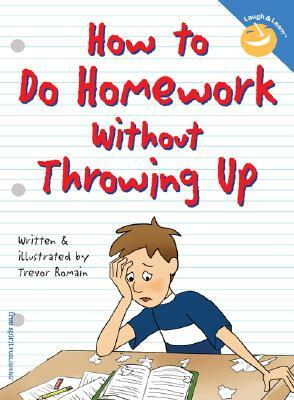 How to Do Homework without Throwing Up by Trevor Romain. Just Give Him The Whale! 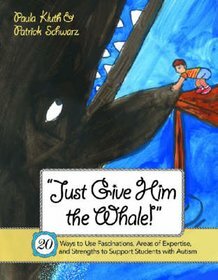 : 20 Ways to Use Fascinations, Areas of Expertise, and Strengths to Support Students with Autism By Paula Kluth. When learners with autism have deep, consuming fascinations—trains, triangles, basketballs, whales—teachers often wonder what to do. This concise, highly practical guidebook gives educators across grade levels a powerful new way to think about students’ “obsessions”: as positive teaching tools that calm, motivate, and improve learning. Pp.160. 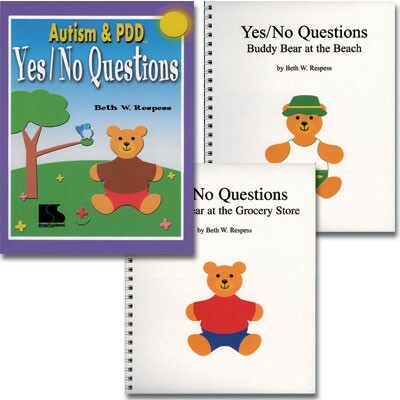 Autism & PDD: Yes/ No Questions 5 Book Set. This books star the loveable Buddy Bear in interactive, multisensory situations. Students listen as you read a simple sentence that describes the picture followed by a yes/no question and the answer. Students respond to each question by finding the correct vinyl-cling sticker to complete the picture. Students reluctant to talk will be motivated to answer the questions aloud and build expressive language skills.